Who is making the news in your market? Ideally, it’s good news and you are the subject of that positive coverage. If not, we have an award-winning track record for getting clients into the news or keeping them out of the news. Do mainstream or the trade media outlets in your space know about you? Do they know how you can help advance their stories or break new ones? MAC Strategies is known internationally for our game-changing media relations strategies and our tenacious ability to manage news placements or related news events like press conferences, seminars, or educational events. It is one of our sweet spots and we will guarantee there is no better agency that effectively deals with all levels of news and trade journalists. 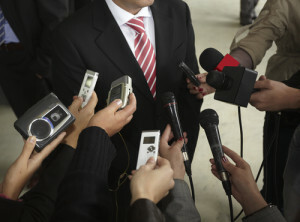 As former reporters, corporate and government communications professionals we know the nuances of working with the media under all circumstances. And we work with news media outlets from CNN, Washington Post, Financial Times, BBC, and Bloomberg to the Wall Street Journal daily - and often in various countries. We help shape your messages, effectively pitch your best story, and reach your key audiences.